Brandon, MB (CKLQ) - You'll be seeing plenty of pink t-shirts around Westman schools today. 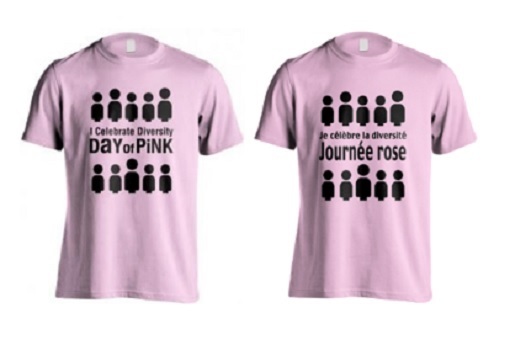 Schools and communities right across Canada in participation with PINK DAY. April, 11th is the second pink day of 2018, the first being February, 28th. The Red Cross set it up this way to mark both the national and international initiatives. PINK DAY is designed to raise awareness to stop discrimination, gender-based bullying, homophobia, & transphobia and commitment to being open-minded, accepting differences and learning to respect each other. The Canadian Red Cross is in it's seventh year as the lead organization behind Pink Day in Manitoba. During that time more than 90,000 Red Cross Pink Day Shirts have been worn by students at hundreds of schools. For more info on pink day events click here.